This ‘Special Sport’ is one of the hand-crafted boats built at Hacker Boat in Silver Bay. The company recently signed a pact with a Thailand company, who will sell the boats in Asian markets. Hacker Boat company in Silver Bay, manufacturer of the mahogany Hacker-Craft boats, has signed a contract with a Thailand dealer, Classic Boats Lifestyle Ltd. that gives the local company a strong tie in the Asian market and boosts production. Classic Boats Lifestyle Ltd. now has exclusive rights to sell the hand-crafted boats to resort owners, corporate clients and wealthy individuals throughout Southeast Asia. George Badcock, owner of Hacker, said the agreement means that an additional 30 or more boats will be built over the next three years, a number that he anticipates will grow steadily as demand increases in the Asian market. In anticipation of the increased work, Hacker has already hired six new employees since the first of the year, including one “rigger”—a technician who installs boat engines—and five woodworkers and varnishers. Badcock said some of the workers are local, others have returned to the area, and still others travel 30-50 miles to work at Hacker. At this point, the company employs more than 30 people full time. 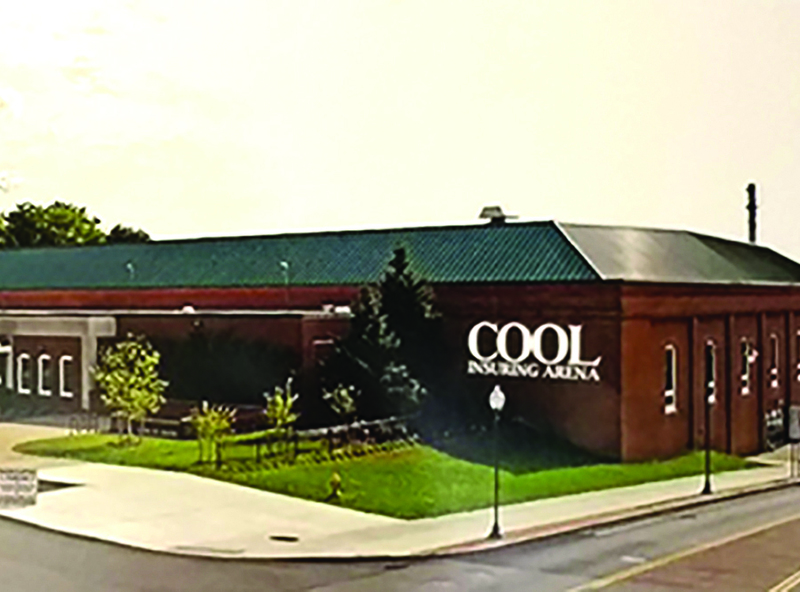 Cool Insuring Arena, which is the home of the Adirondack Thunder hockey team, experienced a good year in 2017, finishing in the black financially. The Glens Falls Civic Center had been a big part of the community over the years and the area was proud of its hockey team—and supportive. But the center itself was losing money, about $600,000 a year, according to Jeff Mead, general manager of the facility, which in 2017 became Cool Insuring Arena. The facility has other uses besides hockey, including being a concert and event venue, hosting high school sports tournaments and more. The Adirondack Civic Center Coalition, a group of local business and community leaders, bought the facility in January 2015 and soon after, hired Mead, who had ties to the community, having played hockey at Glens Falls High School. He was serving as general manager/director of operations for the Blue Sky Sports Center in the Dallas/Fort Worth area in Texas. The hockey team and the Cool Insuring Arena are two separate businesses. Mead is overseeing both. Both are doing better now. The end of 2017 saw the arena finishing in the black, a large turnaround. This is the site of the current Famers Market in the city. It will move to a new site in 2019. 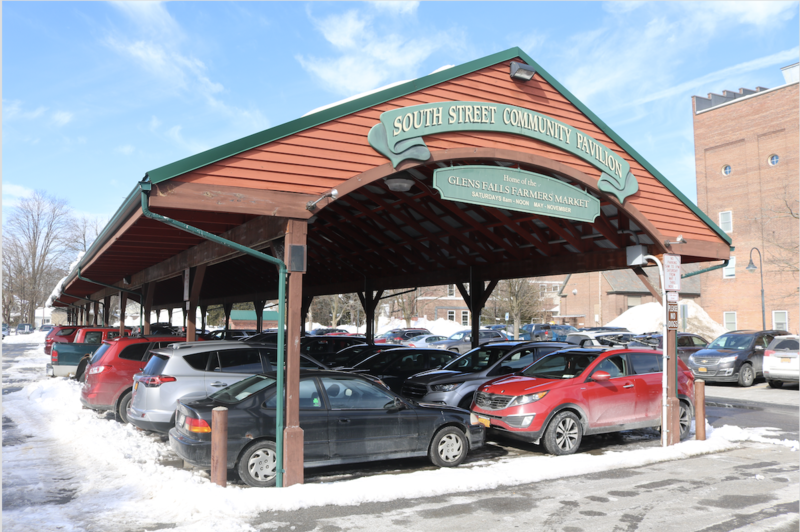 The City of Glens Falls is in the process of purchasing the building that formerly housed Off Track Betting, at 51-57 South St.
Funds for the sale will come from the $10 million grant the city received as part of the Downtown Revitalization Initiative. The city plans to use part of the money to turn the building into a community center that will host the Saturday Farmers Market, as well as other events. “Once we received the award, we had to take on a plan for what we were going to do. We sent out surveys and what we found was there was a great deal of enthusiasm and support for this community building in the downtown,” said EDC Warren County President Ed Bartholomew. The Farmers Market currently held on South Street is a popular event in the city. Local producers come from all over Warren, Washington and Saratoga counties to sell their items. Bartholomew said each week anywhere from 1,200 to 1,600 people may be in attendance at the market. Dr. Jim Morrissey and his wife Kay Morrissey, will receive the Juckett Award. 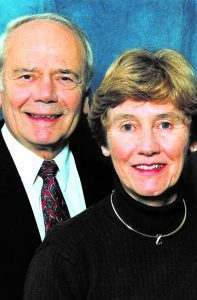 The Adirondack Regional Chamber of Commerce announced the 29th J. Walter Juckett Community Service Award will be presented to Dr. Jim Morrissey and his wife Kay Morrissey. The award will be given at a dinner event on Saturday, March 3, at the Sagamore Resort in Bolton Landing. A cocktail reception begins at 6 p.m. followed by the program at 7 p.m.
Also, Holly DeKleine of StreamLined Graphics will receive the ARCC Ambassador of the Year honor. This is the second year in a row that DeKleine has been honored with this award. The ambassadors play an instrumental role in welcoming new members, reaching out to long term supporters, encouraging engagement, sharing information, supporting the events we host, celebrating ribbon cuttings, encouraging businesses to join the ARCC and more. NBT Bank has promoted Marc Monahan to vice president. 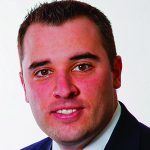 He now serves as a team leader on NBT Bank’s management team based in Glen Falls. Monahan earned a bachelor’s degree in business administration from SUNY Oswego. He is a board member of the Adirondack Regional Chamber of Commerce, member of the Adirondack Civic Center Coalition Board, President of the Glen Falls Civic Center Foundation, and a member of the Glen Falls Hospital Foundation Board. Teal, Becker & Chiaramonte CPAs, PC, announced that Karen Foster, its manager of pension operations with over 30 years of experience in retirement plan management and client services administration, will lead the Retirement Plan Services division as the new director. A former benefit plan consultant and record-keeper, she joined TBC in 2007. She is a graduate of University at Albany, holding both a master’s and a bachelor’s degrees in economics. She is an American Society of Pension Professionals and Actuaries (ASPPA) credentialed Qualified 401(k) administrator. 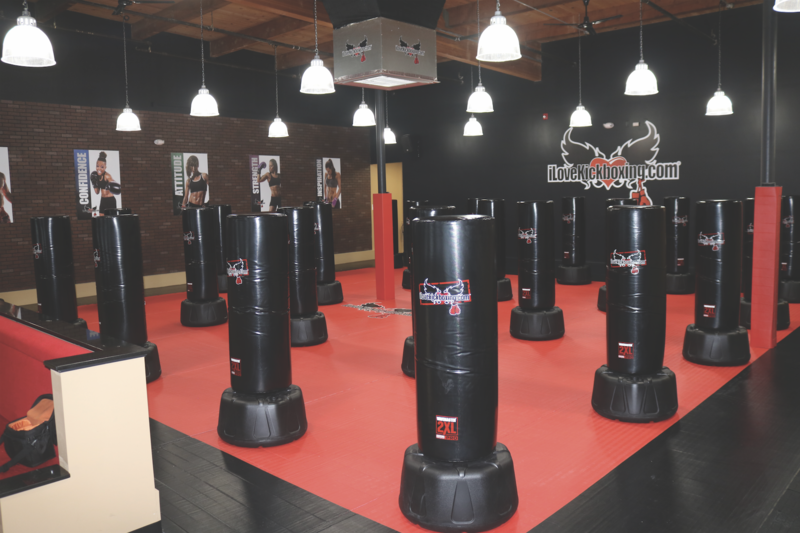 This is the equipment inside of ILoveKickboxing.com in Queensbury, part of the franchise that uses these standing punching bags as a basis for group and individualized fitness programs. People looking to get in shape and achieve their weight loss goals have another area option—ILoveKickboxing.com in Queensbury. ILoveKickboxing.com is a franchise that started in 2009. Since then, the company has spread across the United States and Canada. “I have always loved everything to do with fitness and was looking for a franchise opportunity that met my passions and goals to help people change their lives,” said Dana Moraci, a Long Island native who moved to the area 12 years ago. Moraci and her husband were members of the Clifton Park branch of ILoveKickboxing. When she found out about the opportunity to have franchise, she seized the moment. “I enjoy healthy eating and a healthy lifestyle and I wanted to share my passions and change the way people thought of fitness,” she said. 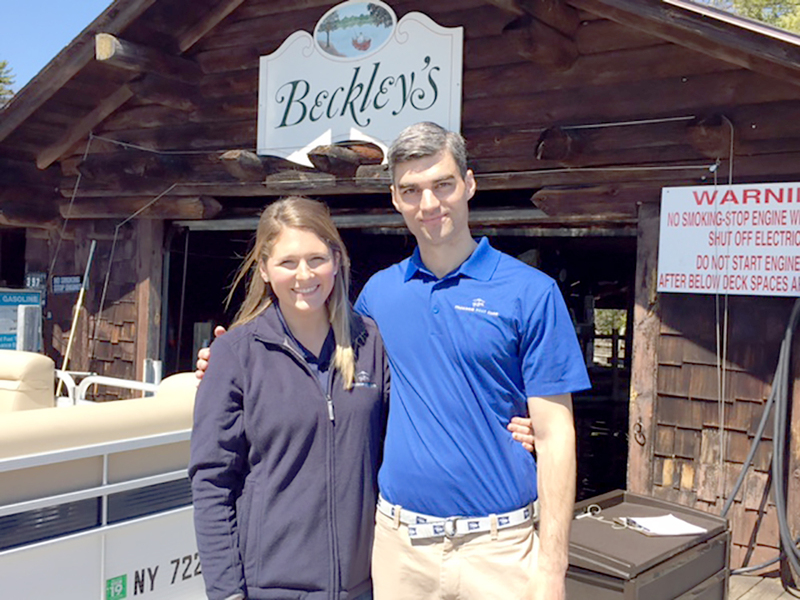 Matt and Rebecca O’Hara own the Freedom Boat Club franchise in Lake George. The organization has an agreement with a French group to develop club franchises in Europe. Freedom Boat Club has signed an alliance agreement with Jeanneau, a French boatmaking group, to cooperatively develop Freedom Boat Club franchises among its European dealer network. 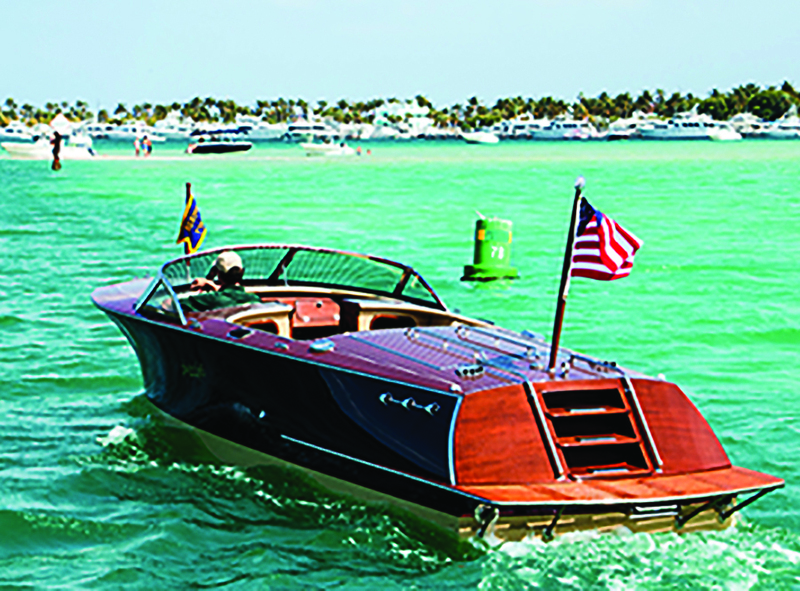 According to Freedom Boat Club President and CEO John Giglio, the FBC franchise model is now being offered to Jeanneau retailers in Europe who have the opportunity to develop FBC locations in their local market using Jeanneau outboard-powered boats. Local Freedom Boat Club Lake George members will now have the opportunity to enjoy boating on multiple continents, something club owners Matt and Rebecca O’Hara are excited to offer area residents. With the Adirondacks so close, there has always been a market for rustic furniture in the area. 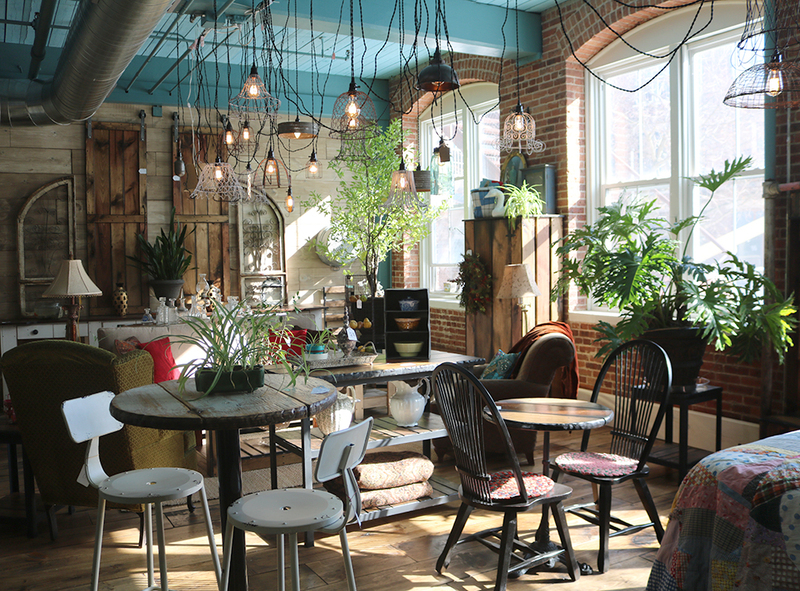 For one local business, rustic furniture isn’t just a local trend. Square Nail Rustics, located in Glens Falls, makes hand-crafted farmhouse furniture and wide-plank flooring. Though the business is only a few years old, its widespread popularity both locally and across the country has necessitated the leasing of additional space, according to ownership. It now has a new showroom and offices at 24 Pine St. in Union Square. Owner and founder Eric Mattison started Square Nail Rustics in late 2014 out of his garage. In the three years since it began, the company has grown and now employs almost 30 people. At any given time, the business has hundreds of pieces in production at their Dix Avenue facility. All of Square Nail Rustic’s customizable furniture is made from locally sourced pine board, milled just outside of Lake Placid. Customers have the ability to choose furniture designs in a range of sizes and finishes. 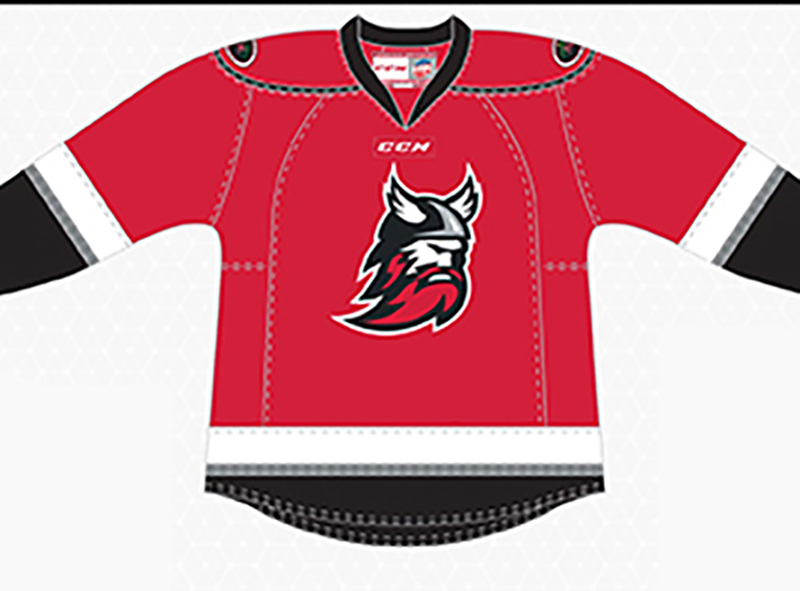 This is an example of the new jerseys the Adirondack Thunder players will wear for the 2018-19 season. The team has also released ticket plans for the new season. All 2017-18 full- and partial-season ticket holders can renew their seats by calling 518-480-3355, ext. 1, or by visiting the Thunder offices during regular business hours. Fans can also renew their seats at any remaining Thunder home game by visiting the season ticket table in the main lobby. Any prospective new season ticket holders can also sign up for next season with seating locations available on a first-come/first-served basis.